C++ is one of the key foundations of our software. It is invisible to most people because they use it only indirectly. It’s in your computer and your phone. It’s in the machines that manufacture, your computer, and your phone. It’s in most cars, including all the self-driving ones. It’s on Mars, and in deep sea-robots. It’s what runs your Java virtual machine and your Python AI/ML scripts. And ironically, as Bjarne Stroupstrup, creator of C++ points out, people keep commenting on its shelf life and its dying* community. *He’s still waiting for hard numbers to support the claim. 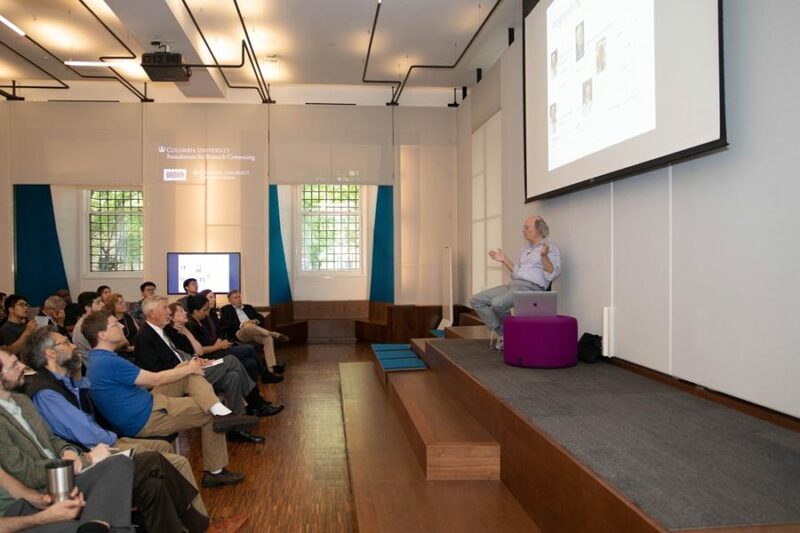 In the Inaugural Distinguished Lecture in Computation, hosted by the Brown Institute, Dr. Stroustrup highlighted the technical aspects of C++, and what makes it so useful as a language. Following his introduction, he explored the design principles necessary for crafting a new language. In this context, he touched on resource management–including the strengths of his C++–and what it takes for a language to be efficient in various contexts. In concluding, Bjarne highlighted the challenges facing the C++ community. A bio for Bjarne Stroustrup can be found below. Upcoming lectures in the series include Lorena Barba, an international leader in computational science and engineering; Fernando Perez, creator of IPython; and Runa Sandvik, computer security expert currently working on digital security at the New York Times. Dr. Bjarne Stroustrup is the designer and original implementer of C++ as well as the author of The C++ Programming Language (Fourth Edition), A Tour of C++, Programming: Principles and Practice using C++ (Second Edition), and many popular and academic publications. 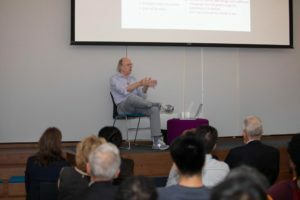 Dr. Stroustrup is a Managing Director in the technology division of Morgan Stanley in New York City as well as a visiting professor in Columbia University’s Department of Computer Science. He is a member of the U.S. National Academy of Engineering, and an IEEE, ACM, and CHM fellow. He received the 2018 Charles Stark Draper Prize, the IEEE Computer Society’s 2018 Computer Pioneer Award, and the 2017 IET Faraday Medal. His research interests include distributed systems, design, programming techniques, software development tools, and programming languages. He is actively involved in the ISO standardization of C++. He holds a master’s degree in mathematics from Aarhus University, where he is an honorary professor, and a Ph.D. in computer science from the University of Cambridge, where he is an honorary fellow of Churchill College.